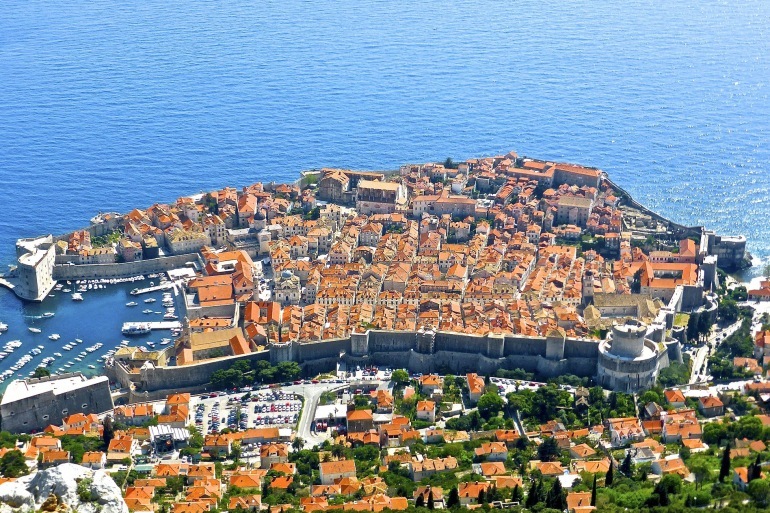 Experience the marvels of Croatia and Montenegro, visiting Dubrovnik and Hvar and enjoying spectacular scenic views and a delectable array of local foods throughout your journey. Ride Like a Local by public ferry along the stunning Dalmatian coastline to picturesque Hvar, a lush, mountainous island, where Venetian palaces grace narrow backstreets and secluded coves beckon. Enjoy lunch at a local restaurant, then stroll to view the town’s Cathedral and Arsenal. Visit a family-owned winery for a wine tasting accompanied by a diverse sampling of products from their farm. Explore Hvar Town’s center and view the gleaming limestone Spanjol Fortress. Travel to Montenegro, stopping at the Bay of Kotor fjord for lunch and boating out to Our Lady of the Rocks, a tiny church built on an island. Then, visit Kotor, a UNESCO World Heritage Site. Tonight, gather for a farewell dinner in a fine local restaurant in Dubrovnik. Extend Your Journey | Enhance your journey with a pre-tour extension to Lake Bled & Zagreb (5 days, from $2,695). Available to add to select departure dates. See Dates & Prices tab for details. Upon arrival in Ljubljana, Slovenia, you are met and transferred to your hotel on picturesque Lake Bled, with views of the cliff-top castle and the Julian Alps. Visit Bled Castle to view the large collection of 16th- to 18th-century weaponry in its museum, and then board a boat to tour St. Mary Island. Later, join your local guide to walk Vintgar Gorge. Travel to Ljubljana, capital of Slovenia. View its 18th-century cathedral, Baroque palace and colorful frescoes. Drive to Zagreb, Croatia. Walk Zagreb to view the National Theater and the Well of Life by Ivan Meštrovic. Later, visit the Meštrovic Atelier to see the artist’s works. Transfer to Split, stopping en route to visit Plitvice Lakes, a UNESCO World Heritage Site. Tour the National Park, followed by lunch. Then, continue to Split. Take This Journey Private | This itinerary is also available as an independent journey, Signature Croatia, with A&K local guides.